GT-1 Motorsports is based out of Tachikawa city right outside of Tokyo and is a child company of KSP Attain. 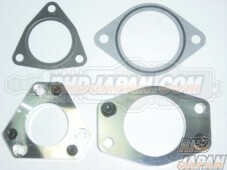 This brand has been developed specifically for cost performance parts aimed at drift applications. While maintaining high quality operating costs have been kept low by making the brand available through online purchases. Collaborating with Akinori Ito on the drift scene GT-1 Motorsports is ...READ MORE mostly known for their sleek Break Ito Aerokits.